After three years of hard work, especially the past 6 months, it’s finally there. 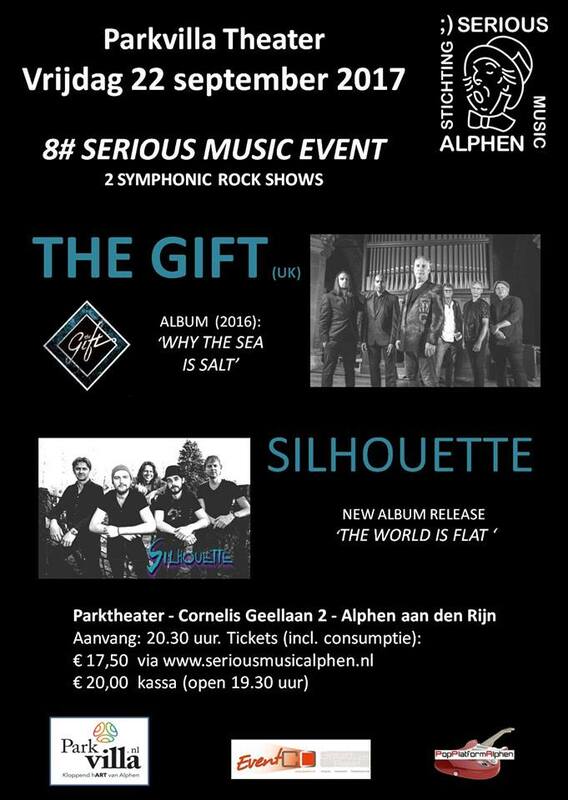 Silhouette’s new album The World Is Flat (And Other Alternative Facts) will be presented to a live audience on September 22nd at Parktheater Alphen. That evening, you will hear the new music, by a band that wants to go for it! The band will share the stage with British prog act The Gift, who released a wonderful album Why The Sea is Salt in 2016. If you missed them at ‘t Blok in February, here’s your chance to catch up. This entry was posted in Music, Music stories by Angelo Hulshout. Bookmark the permalink.